Ara is our Engineering Manager on the Kubernetes Squad, and works remotely from Malaga. 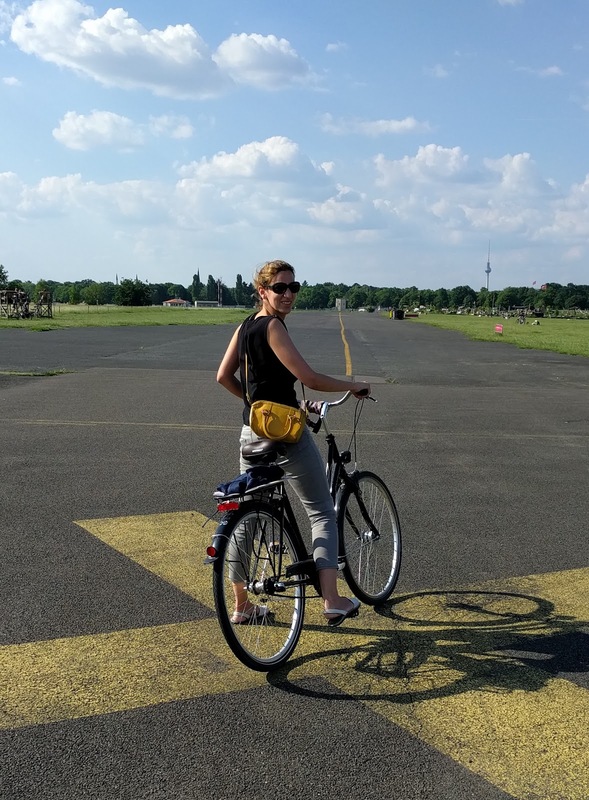 Park (old Tempelhof airport) last summer. I was born and raised in Andalusia, in the south of Spain. Since I was little I enjoyed computers and I started some very simple programming (using BASIC) in a family owned Amstrad CPC when I was around 9. When I had to choose what to do in college, the answer was easy. During my university years, I joined the local Linux user group and it was then when my interest on infrastructure and this operating system started. At the beginning of my professional career my duties were not related to Linux, though; I did things like web programming, .NET and Java on my first few jobs. After those, I joined Canonical to help with test automation of their Ubuntu devices and managed several engineering teams throughout the years. I joined Bitnami in June 2017. I work remotely from Málaga, a city in Spain mainly known as the city where Picasso was born. As I said before, infrastructure in general and Linux in particular are my main interests in computing. I was very interested in Bitnami when I heard what the company was creating, the customers they had and the way they improved how people deployed applications in the cloud. When I heard the strategy they had for the next wave of deploying applications, with containers and Kubernetes, I was sold. It is super exciting to be working on cutting edge technologies that will become the standard of application deployment alongside such an excellent group of engineers, many of whom contribute regularly upstream to the different projects. If this was not enough, you quickly understand how Bitnami has a clear and proven business model, making it a sustainable company that is here to stay. I manage the Kubernetes squad, where we focus on creating production ready container images that are optimized to run on Kubernetes. Apart from creating the images, we work on several Kubernetes open source projects that help teams deploy their applications to a Kubernetes clusters (Monocular, Helm charts, Kubeless, Ksonnet). As part of the my team’s duties and to make sure we eat our own dogfood, we run our internal Kubernetes cluster that we use at Bitnami to deploy our different internal and external applications. As part of the effort of running our own cluster, we come up with ideas and tools on how to better deploy applications, that we then open source. Kubecfg, a tool to manage complex Kubernetes environments as code, was first created as part of that effort, to improve the way we managed our cluster. I love going out with friends for tapas-style lunch, while we enjoy Málaga’s great weather. I love listening to live music anywhere, from small theaters or venues, to big outdoors music festivals. I enjoy nature: snorkeling during summer and hiking during autumn and spring. Málaga surroundings are great for both, with clean waters in the Maro area, and great hiking paths in the mountains nearby like Sierra de Las Nieves. Interested in working with Ara at Bitnami? Apply for one of our open positions!